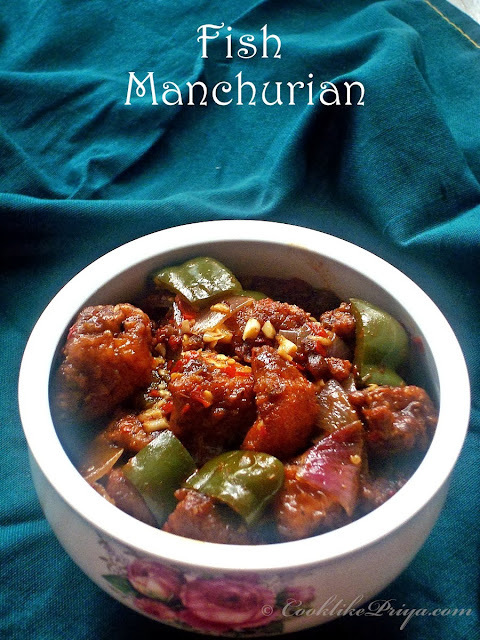 Fish Manchurian has been on my mind for a long time. And when I saw fresh Shark in our local fish monger I just knew what to make with this soft fish. 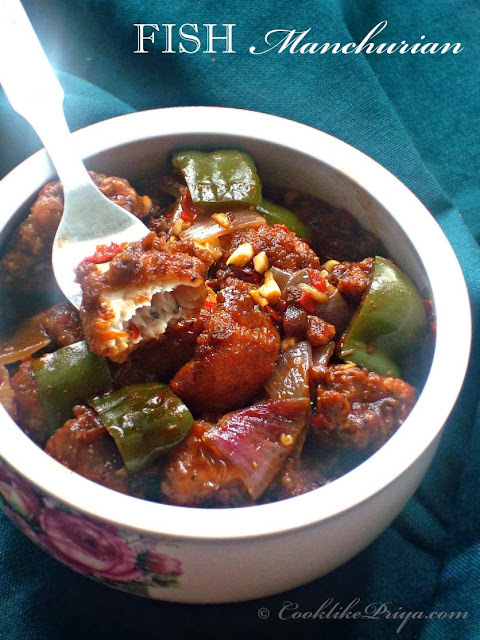 Usually at home Shark/ Sura is used to make Sura Puttu ( shredded fish stir fry) this time around my husband wanted me to make chilli fish so combining my interests to make a manchurian and chilli fish, it resulted in Fish Manchurian. 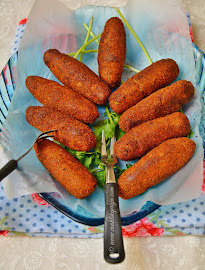 This dish is Indo-Chinese style and tastes great as an appetizer or as a side to fried rice. I must admit I never take step-wise clicks with raw meat, not sure why. 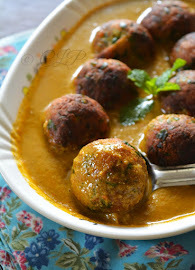 But for this post I made a change and took clicks as I prepared this dish. I must thank my dear sis Divya Pramil for her idea to steam cook fish before coating the batter, which I picked from here. 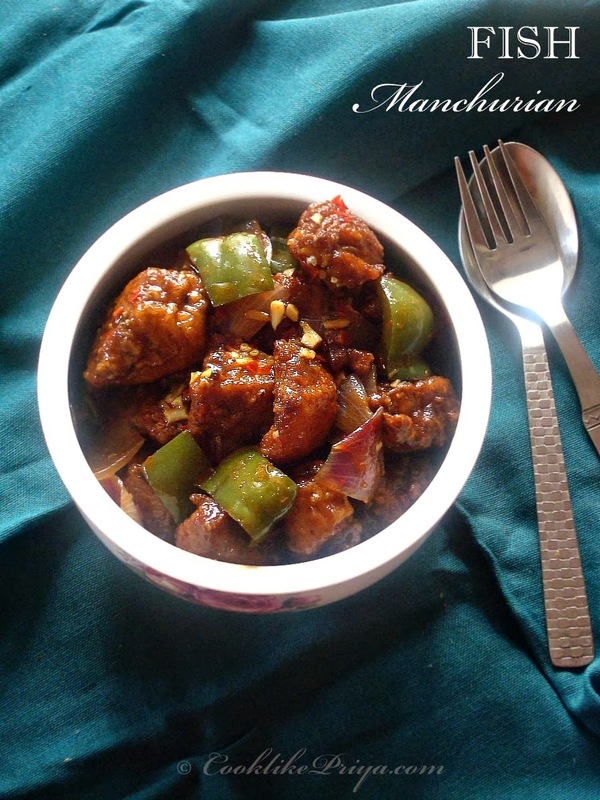 Manchurian is a batter fried recipe that is great as an appetizer or as a side (semi-gravy), very popular in restaurants in India. 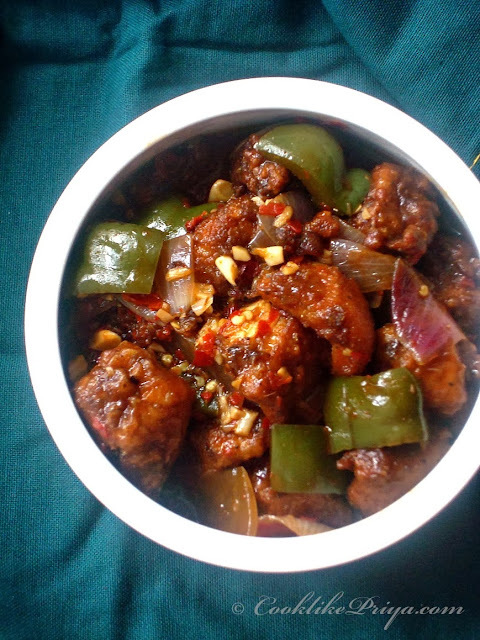 You will find many variations to manchurian like Gobi (Cauliflower) Manchurian, Chicken Manchurian and Fish manchurian. 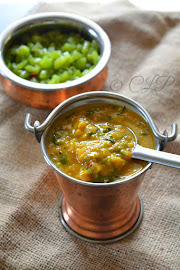 Meat/ vegetables are made into a marinated base, which is fried and a sauce/curry is prepared and the fried pieces are added and later garnished with spring onions. 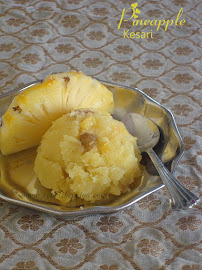 The dish is usually prepared few mins before serving for a crisp taste. Although the taste great no matter when it is cooked. Heat oil in a kadai for deep frying and when its hot test by dropping a little batter into the oil if it starts to sizzle then the temperature is right. Add the fish pieces in batches and fry them for 1-2 minutes in the hot oil and remove using a slotted spoon. Drain them on a kitchen towel. Awesome munchurian!! your step by step picture rocks..
Its just woww..priya..like u !! I love fish to the core. Interesting and tempting. 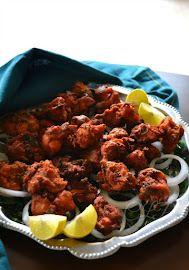 Wow..hot n spicy fish dish..love it,. lovely pics n presentation da..